Where’s My Arizona State Refund? Track your AZ Tax Return. If you e-File and choose direct deposit, you can expect your refund within 10 days of the date you filed. If you filed a paper return, expect your refund within 12 weeks of the date you filed. Refund status can be obtained by using the automated phone system. Call (602) 255-3381 or toll-free 1-800-352-4090. Have your tax information ready before calling. Or, you can use the “Where’s My Refund” link on our website www.AZTaxes.gov to check the status of your refund. You’ll need your social security number, filing status, zip code and the tax year 2014. If you received a Tax Correction Notice due to an adjustment of the withholding amount you reported, click here for more information. Arizona collects income taxes from its residents in five brackets, and in 2006 lowered its tax brackets across the board. The lowest rate is 2.59 percent; the top rate is 4.54 percent. More on Arizona taxes can be found in the tabbed pages below. Arizona collects income taxes from its residents at the following rates. 2.59 percent on the first $10,000 of taxable income. 2.88 percent on taxable income between $10,001 and $25,000. 3.36 percent on taxable income between $25,001 and $50,000. 4.24 percent on taxable income between $50,001 and $150,000. 4.54 percent on all taxable income more than $150,000. For married persons filing joint returns and heads of households, the rates remain the same but the income brackets are doubled. Arizona income tax forms are due April 15, or the next business day if that date falls on a weekend or holiday. Arizona law requires a taxpayer to add certain items to Arizona gross income. One of the items a person must add is interest income from non-Arizona municipal bonds. For more information, go to the Arizona Department of Revenue’s website. Track my AZ Tax Return! This entry was posted in Arizona, State Refund Information and tagged Arizona State Refund, Arizona Tax Refund, AZ Tax return. Bookmark the permalink. Follow any comments here with the RSS feed for this post. Both comments and trackbacks are currently closed. IRS Announced the First Day to File Taxes in 2017. Wheres my state refund 2014? It's easy to check the status of your state tax refund using the online refund status tools on each state's Web site. 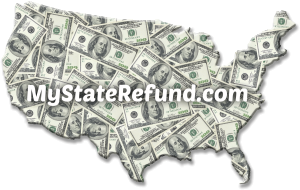 Find your state and click on the link to go directly to your state's refund status tool. Where’s My Connecticut State Refund? Where’s My Mississippi State Refund? Copyright © 2018 MyStateRefund.com . All rights reserved.